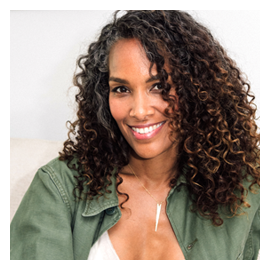 Writer and producer of over 300 episodes of television, Mara Brock Akil has truly left her mark on Hollywood.Beginning her career as a writer on series such as South Central, Moesha,and The Jamie Foxx Show, Akil quickly rose in the ranks proving herself to be both a pivotal voice in storytelling, as well as an incredibly talented producer. Following her work on those shows, Akil went on to create the seminal television series Girlfriends in 2000. Groundbreaking in many ways, the series was a witty, intelligent and honest exploration of the many facets of black womanhood through the lens of four very different women. The series aired for 8 seasons, during which it was one of the highest-rated scripted shows among African-Americans ages 18-34 and bravely tackled an endless number of issues, including colorism, AIDS and class issues.Additionally, during that time, Akil developed the spin-off series The Game,which premiered in 2006 quickly becoming a fan-favorite, as well. This fandom became undeniable in 2009 when, upon cancellation, loyal fans of The Game took to social media to launch a campaign to save the series. Taking notice,BET stepped and struck a deal to renew the series and develop additional episodes, which ultimately garnered record-breaking ratings when the show premiered on its new home. In 2013, she and her husband/producing partner Salim Akil, developed their first one-hour drama, Being Mary Jane, which debuted to over 4 million viewers further lamenting her ability to tell powerful and engaging stories that audiences are drawn to. In 2016, The Akils moved their company, Akil Productions, to Warner Bros. Television with a multi-year overall deal. 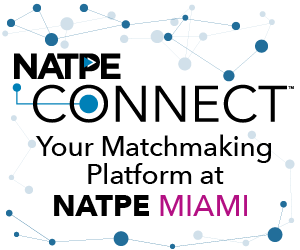 The pair have been busy since making the move and, in 2018, launched 2 new series under the pact – Black Lightning, which premiered in January on The CW,and Love Is__ , which debuted on OWN in June. Both series have resonated with critics and audiences alike, and have each earned second season renewals. Black Lightning’s second season is currently airing on The CW. Beyond her work as a writer and producer,Akil has consistently been recognized by her peers as a leader in the industry.In 2013, she was honored by Essence magazine with their Visionary Award during their annual Black Women in Hollywood luncheon, as well as being recognized as an honoree during that year’s Black Girls Rock Awards.Additionally, Akil has been named to Variety and The Hollywood Reporter’s Showrunner Power List multiple times, and has made The Hollywood Reporter’s Women in Entertainment Power 100 for the past 3 years and running. Akil’s impact transcends entertainment as she dedicates a great deal of time to philanthropic efforts.She held leadership roles and contributed to LAXArt, The Underground Museum,The Samburu Project, Dance Theatre of Harlem and The Studio Museum of Harlem.In 2014, Girls, Inc. honored Akil for her work inspiring and advocating for girls everywhere. Additionally, she serves on several boards, including the advisory board for the Humanitas Prize, WGA West’s Board of Directors, and Northwestern University’s School of Communication National Advisory Council. In the Fall of 2017, Northwestern honored Akil for the positive impact she has made in television and film by presenting her with their prestigious Medill Alumni Award and inducting her into the Medill Hall of Achievement. Akil currently resides in Los Angeles with her husband and two sons.